I did not search whether this thread has already come up, but I cannot resist looking for the animal or the face in nearly every rock I touch. So, I thought I could start this conversation with a fossilized clam shell marble sphere with a great little face on it. This category seemed a reasonable fit but if the forum hosts see it differently, feel free to move to a better location. I invite you to post your own faces as well. Meet a reincarnation of our pet tortoise Crush, but in stone. Well Crush was a cutie! I always look for pictures in stones. Thanks for starting the thread! I have a bunch and don’t even get me started on eyes in rocks! I’ll see if I can find the figures and faces I have. This is my favorite. My Area 51 rock. Spitting image of a grey! I like those tiki-like faces you shared sapphire, definitely some Polynesian gods immortalized in stone. 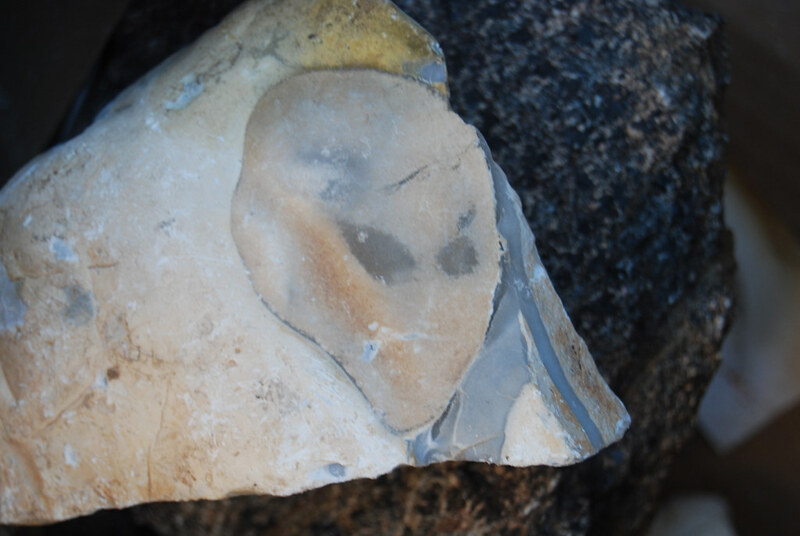 The alien face is also classic, effective eyes but the ultimately shape of the rest of the rock completes the picture.